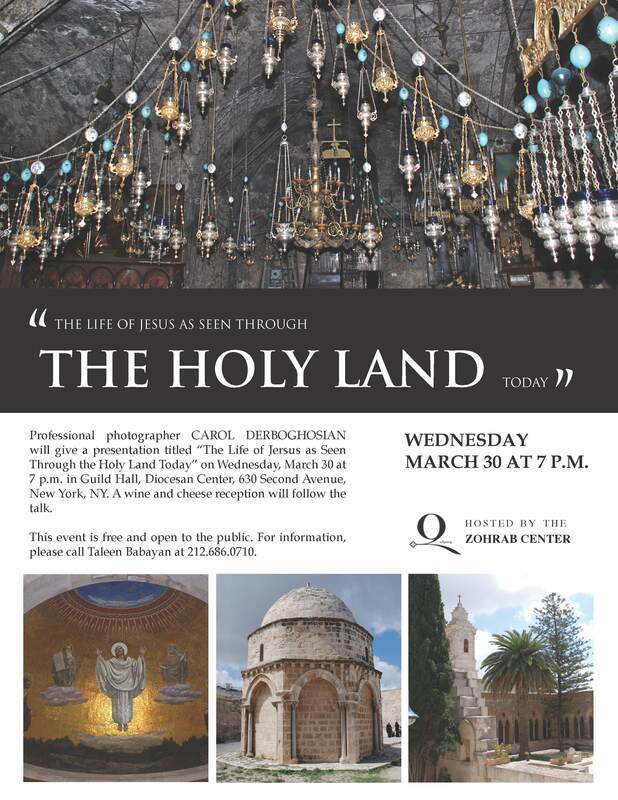 Professional photographer Carol DerBoghosian will give a presentation titled “The Life of Jesus As Seen Through the Holy Land Today” on Wednesday, March 30 at 7 p.m. in Guild Hall, located in the Diocesan Center, 630 Second Avenue, New York, NY. A wine and cheese reception will follow the talk. This event is free and open to the public.